Mikael Vejdemo-Johansson, a mathematician in Stockholm, recently led a small team on a quest to discern how many tie knots are possible. Their results, uploaded to arXiv, say there are 177,147 different ways to tie the knot of a necktie. That is 177,062 more ways than were found in 1999 by Cambridge mathematicians Yong Mao and Thomas Fink, who arrived at 85 possible ways to tie a tie. Why the discrepancy? Well, it comes down to what counts in tie tying. Take, for example, a conventional standard: the knot must be covered by the cloth of the tie. In the film "The Matrix: Reloaded," a character (the Merovingian) sports a tie where the knot is exposed, and where the big end of the tie goes behind the small end. 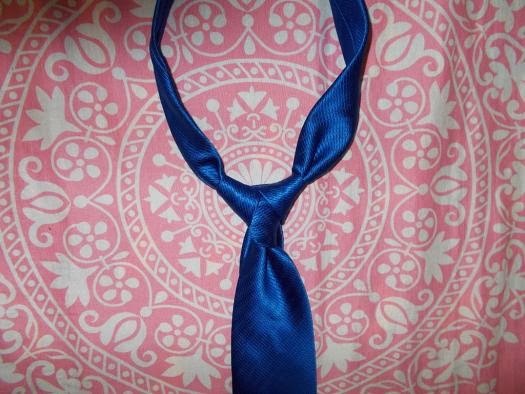 Also known as the Ediety knot, it's a tie knot that's possible (and even experienced some movie-inspired popularity) but wasn't accounted for in the previous math. Another metric changed in the Vejdemo-Johansson model was windings (where the tie is warped around another part of the tie), allowing for more windings and variable tie-length. The end result of the research is a richer mathematical language for tie knots, a larger number of ways to wear a tie, and a much larger number of wrong ways to wear a tie. There's even a tie-knot generator, for the truly adventurous or cavalier. Of course, for purists there's still only one correct way to tie a tie, and that's a Windsor knot.